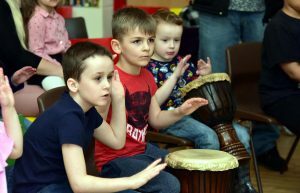 The Drumroots performance group, Tanante will be joining our good friends from Global Grooves on Sunday 14th January at the Vale in Mossley, to perform for a special Charity fundraising day of amazing West African Percussion workshops. Here at Drumroots we are proud to announce that we have another brand new stock of top quality, professional, African djembe drums that have just arrived here from Guinea that are now available to buy. 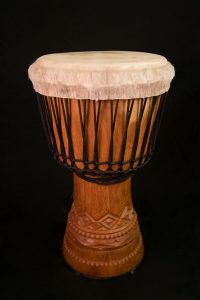 As well as our top of the range goat skin djembes, we have now introduced some truly awesome sounding calf skin djembes. All these drums are made of top quality hardwoods, beautifully carved and decorated and have been skinned with supreme skill and attention to detail by our colleagues in Conakry, Guinea. 2017 summer festivals and gigs. Yes! That's right folks! Since the birthday reunion you've begged us for more, and we had no choice but to listen! So we're going back to the Attic (aka The Zombie Shack) for a winter solstice party ina Drum Music style! 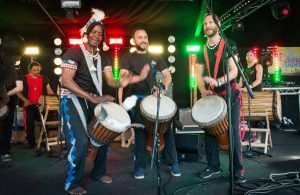 We invite you to come together again and join us back at our old home with our West African drumming performance group 'Tanante' playing a powerful and high energy set and all the resident DJs' spinning some of those classic tracks from back in the day. Since they each were very first established over a decade ago, Drumroots and the Drum Music collective have been in collaboration, and our Tanante performance troupe have always been there bringing powerful live traditional West African music to add to the party. These club nights have always been full of fun, energy and good vibes. Make sure you don't miss this one off event in celebration for Drum Music's 11th Birthday at our old haunt, The Zombie Shack (formally The Attic)! Go to the Drum Music Facebook page for more info or to let us that know you're coming to join the party! 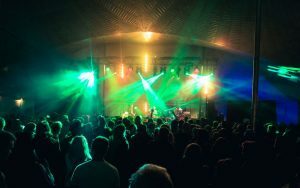 Drumroots are delighted to announce that our performance group Tanante are now confirmed to be performing this year at the awesome Solfest. This great festival has a fantastic line up, in which Tanante with guest artists will be delivering a performance on the main stage on Sunday at 5pm. Please see their website for full details and ticket information. Hope to see you all there! 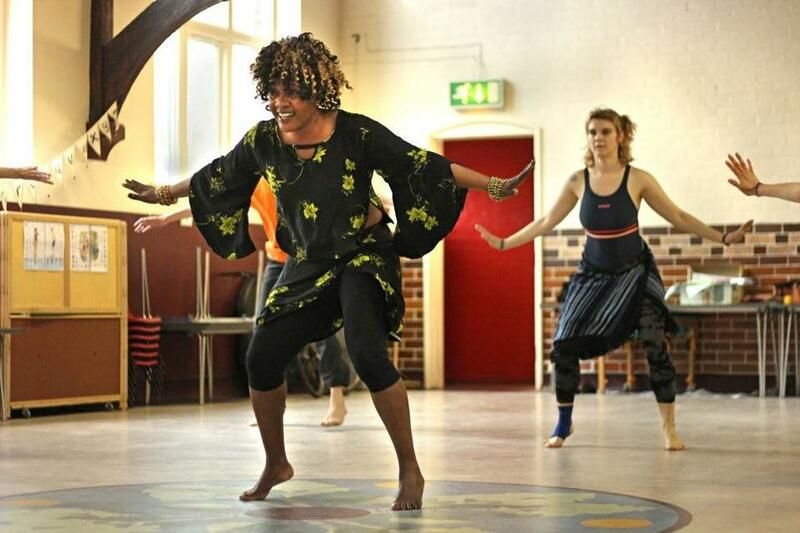 As part of our 10th birthday celebration we would like to offer a very special workshop with our friend and world renowned djembe master Iya Sako! 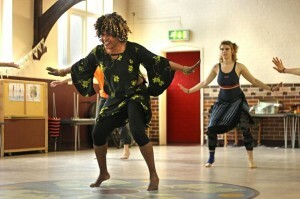 Expect some beautiful traditional Guinean rhythms and a patient and encouraging teaching style. 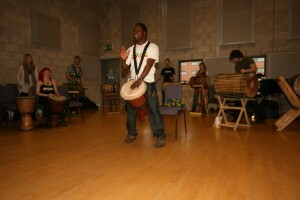 Workshops will be supported by Tanante members and will give students the opportunity to learn both the djembe and the dun duns (bass drums). Also don't miss the gig in the evening to see Iya doing his thing on stage... a genuine world class percussionist, you will not be dissapointed! 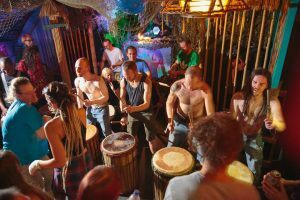 Drumroots presents a spectacular showcase of live, World music and drumming from diverse musical traditions to celebrate 10 years of Drumroots history.